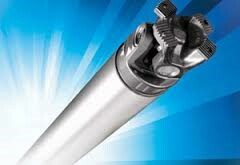 Life Series® Drive Shafts - From the 55 series to the 250, Machine Service stocks them all! This series is also available with a quick disconnect feature, making it easier to service the powertrain. We have a substantial inventory of Life Series® components in house available to meet your demand. From the 55 series to the 250, Machine Service stocks them all to ensure the ability to respond to your specific needs. Want to know whether the Life Series® Drive Shaft is right for your application? Contact a Machine Service drive shaft specialist to find out!